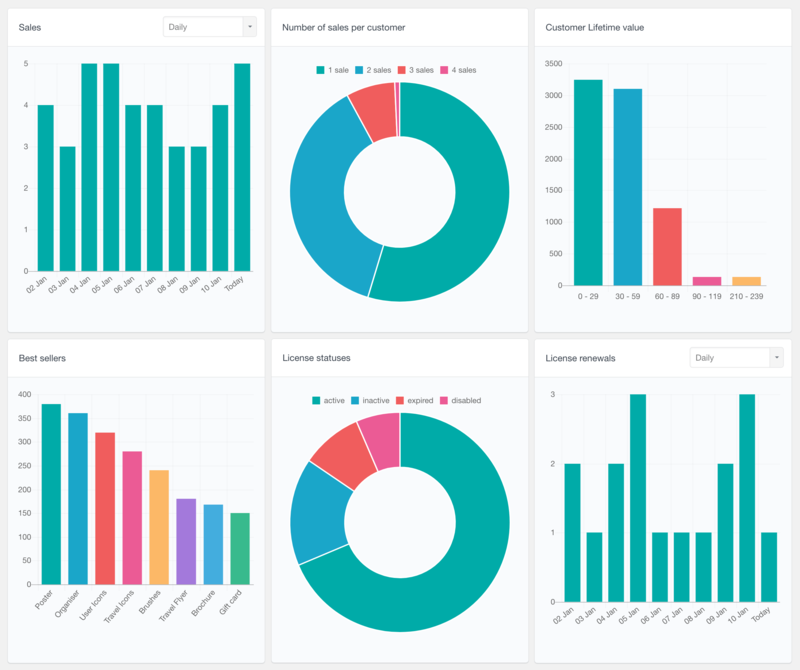 The Users Insights Reports are where all the WordPress user data comes together. 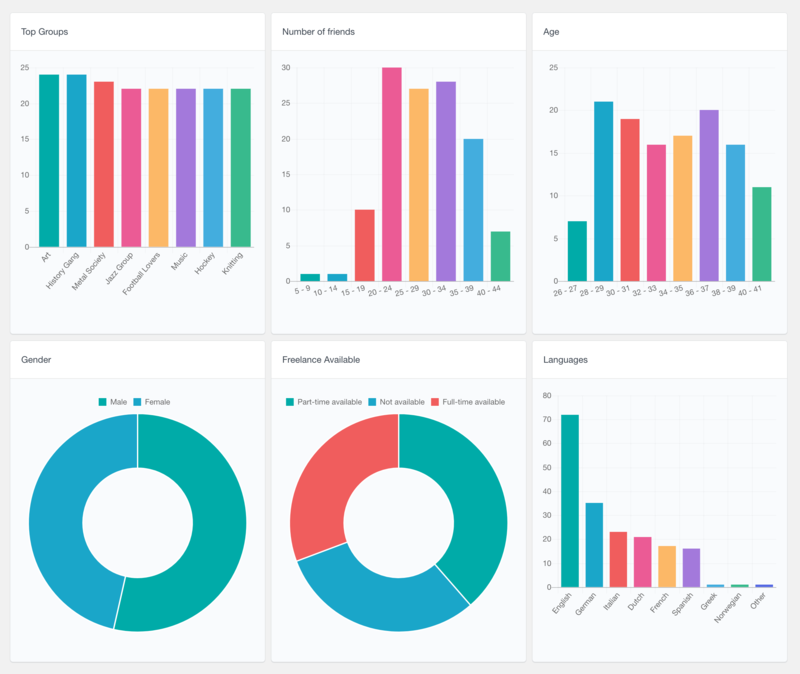 The reports dashboards display a real-time summary of your user data. Taken as a whole, these reports are designed to help you make smarter decisions, monitor the progress of your goals and quickly identify problems. 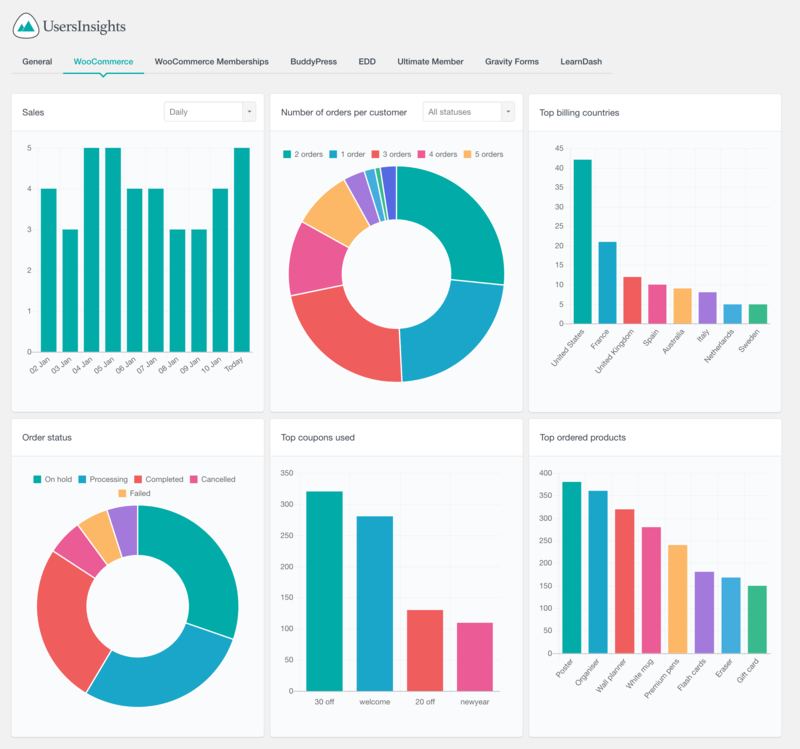 The Reports dashboard comes with 40+ different reports that provide an easy way to measure and analyze performance across all the different metrics and get a detailed picture of your business. Every WordPress user report transforms your specific user data into actionable insights that help you better understand your users and make better business decisions. 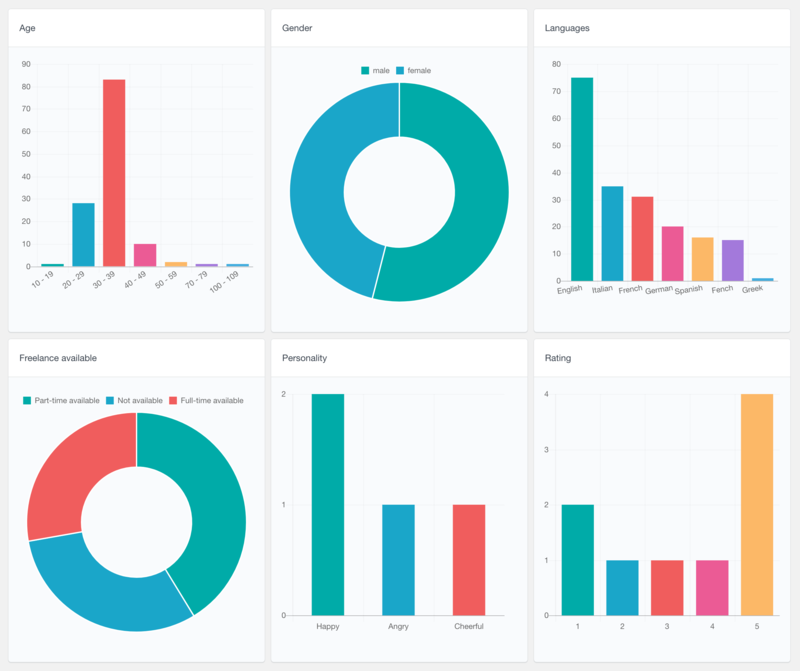 Every single report provides a visual representation of the different category of your user data. The reports can be from different types depending on the nature of the information that is represented. Multiple reports are grouped into different tabs based on their type and source. 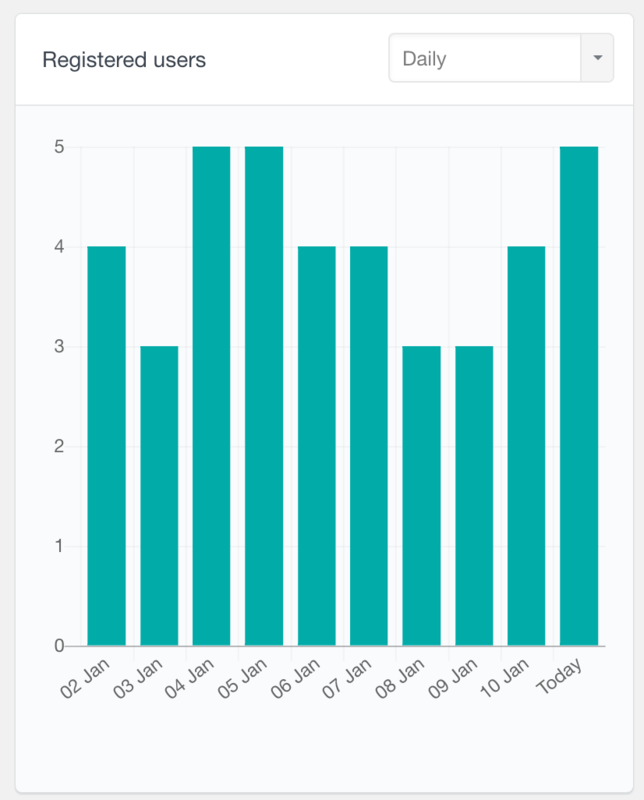 Most of the reports are grouped by the Users Insights module the data comes from. 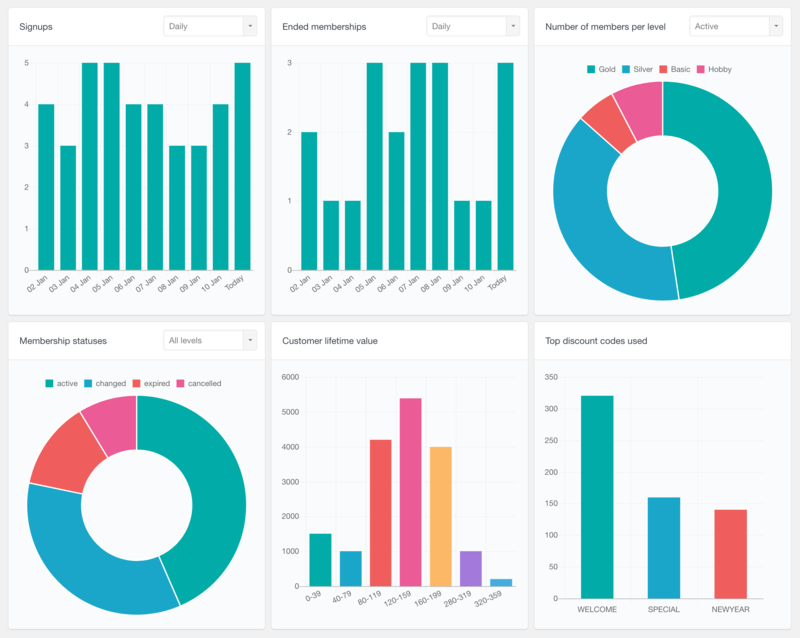 For example, all the reports from the WooCommerce data, like the number of sales or the number of orders per customer, are grouped under the WooCommerce tab. Additionally, you have the option to choose which reports to be visible from each module. Some of the reports also have the option to filter the data shown on the report. 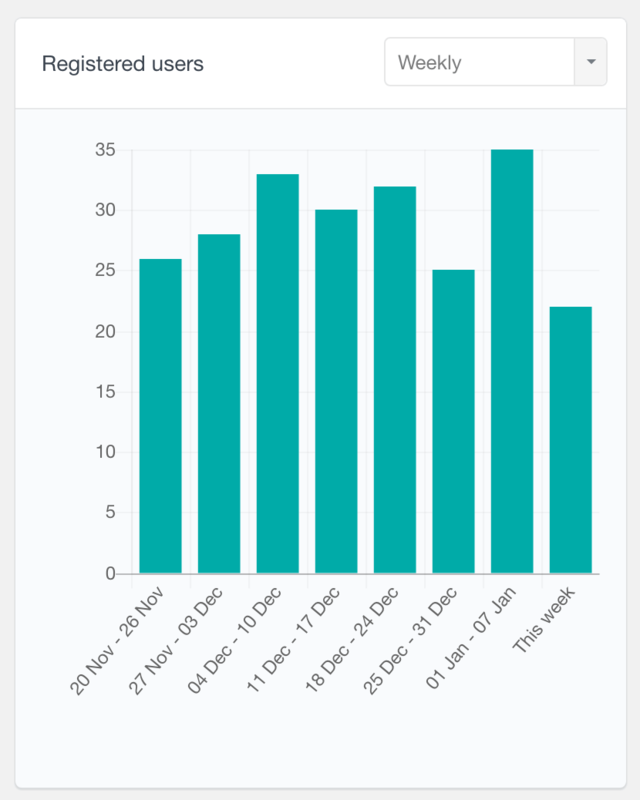 For example, on the registered users report you can choose to have it displayed by day, week, month or year. One of the advantages of the Users Insights reports is that they also detect past data that was collected before installing the plugin. For all of the 3rd party modules, their past data will be available in the reports, regardless of when you have activated Users Insights. This is because Users Insights only reads the existing data that is stored by those plugins and doesn’t require storing any additional data. The registered users report shows the number of users registered in the most recent period. By default it shows the number of WordPress users registered in the past several days. 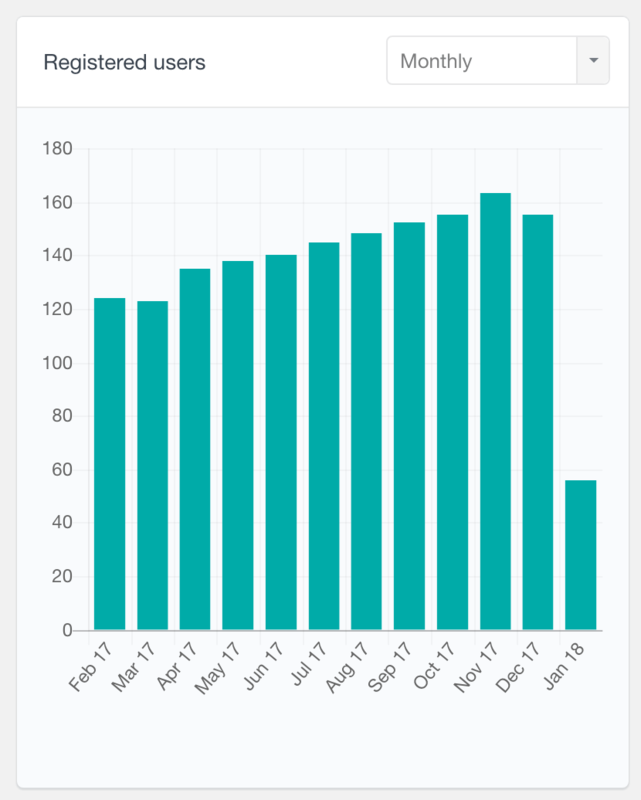 You can also do custom reporting and change the type of period, so you can easily see how many users have been registered in the past several weeks, months or years. 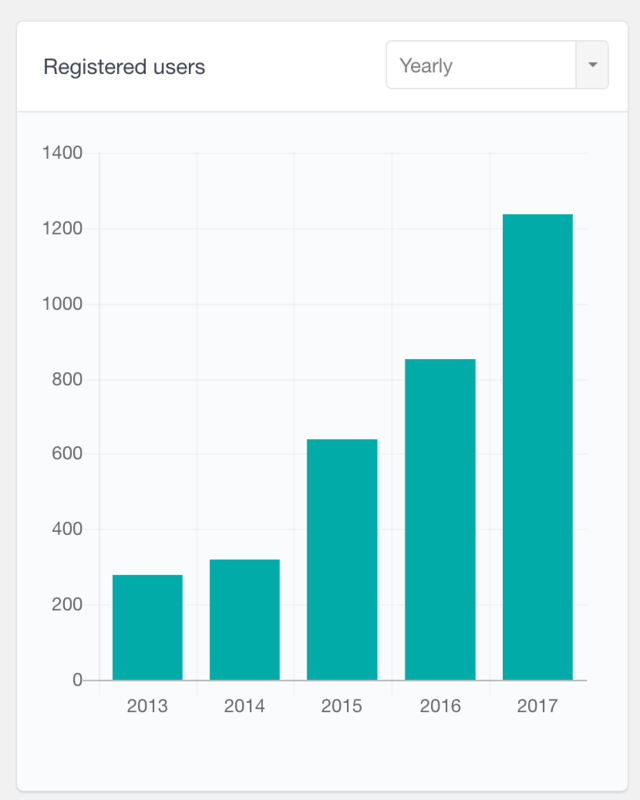 This WordPress user report can be very useful to explore the user base growth over time. 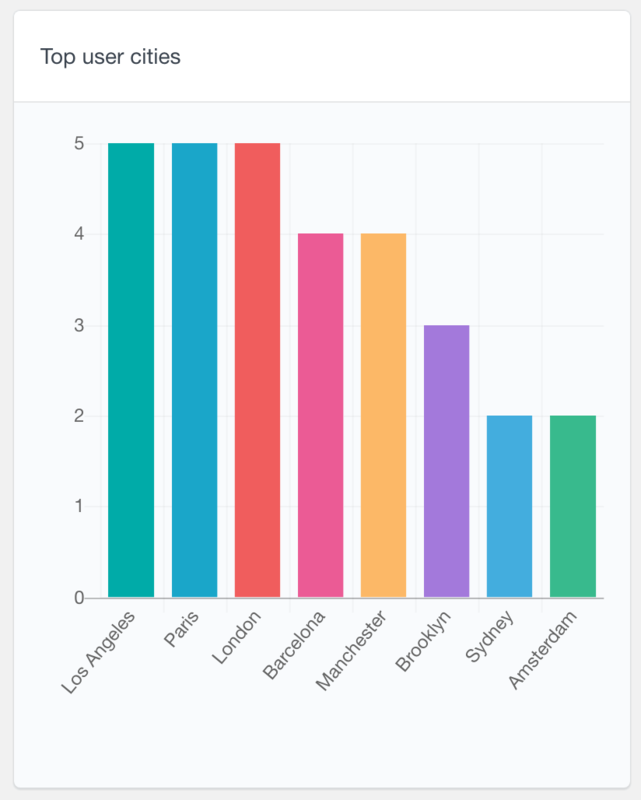 These reports are available as a bar chart, showing the top several locations that your users come from. The geolocation reports can help you create a demographic analysis, which can be used to improve your product or services. With the Users Insights Device Detection module active, you can see the detected user browser and platform data in the Reports section. 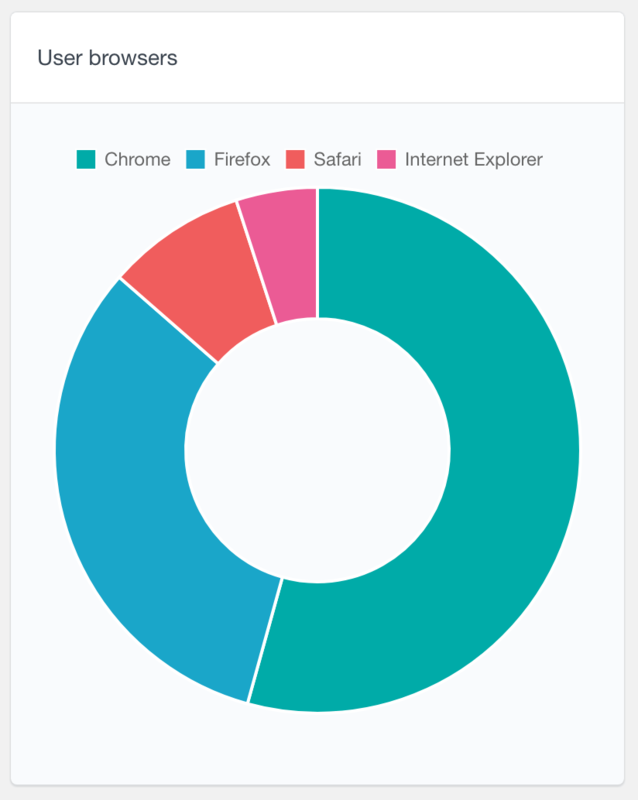 The User Browsers report shows the percentage of each browser, such as Chrome or Firefox, that your users use. Similarly, the User Platforms report shows the platforms data, such as Apple or Windows, in a pie chart. Number of orders per customer – a pie chart showing the percentage of customers that have 1, 2, etc. orders. It can be further filtered by the order status, so for example, you can see only the completed orders. To learn more about the available reports, you can visit the WooCommerce Reports page. To learn more, visit the WooCommerce Memberships Reports page. Users Insights also includes a reports module for the Ultimate Member plugin. These reports are dynamically generated based on your form fields settings. Users Insights detects the Ultimate Member forms along with their fields and provides reports for the data that your users have completed based on the field type. 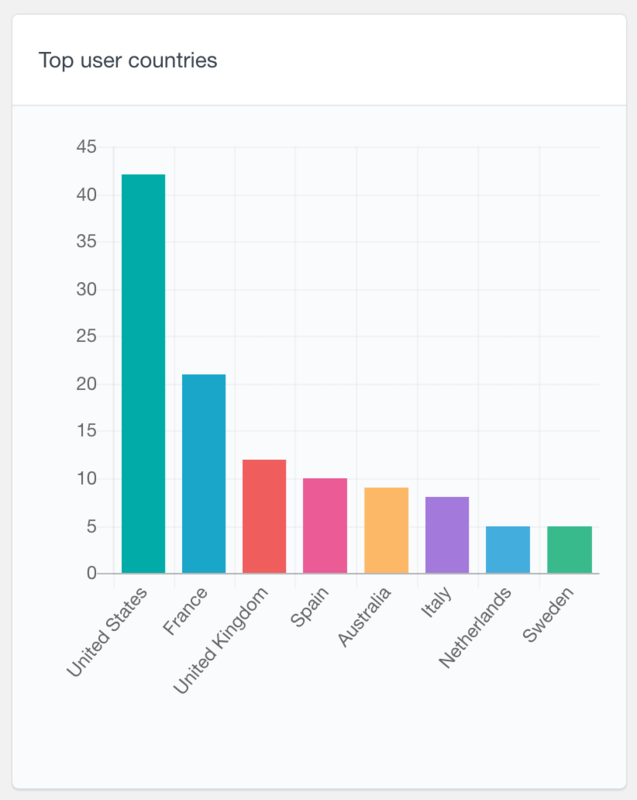 For example, radio field data is visualized in pie charts, based on the options selected. Or numeric field types are displayed in a bar chart, based on the ranges of the data. For more information you can visit the Ultimate Member Reports page. The Gravity Forms Reports of Users Insights consists of two parts. The first part is the Gravity Forms submission data, which is a report showing the top user submitted forms. The second part of the reports is the data submitted when using the User Registration Add-on. Users Insights detects the data submitted via the add-on and dynamically creates different reports based on the type of data submitted. For example, pie charts are displayed for single option fields and bar charts are displayed for multiple choice fields. Head over to the Gravity Forms Reports page to learn more about the available user reports. As part of its BuddyPress module, Users Insights also provides reports for the BuddyPress plugin user data. These reports can help you analyze your user activity, such as find the most popular groups or see how many friends each user has on average. Additionally, reports of the user profile data are also available. Fields like single/multiple choice fields and numeric fields are automatically detected and presented with various graphs and charts, based on the type of data. 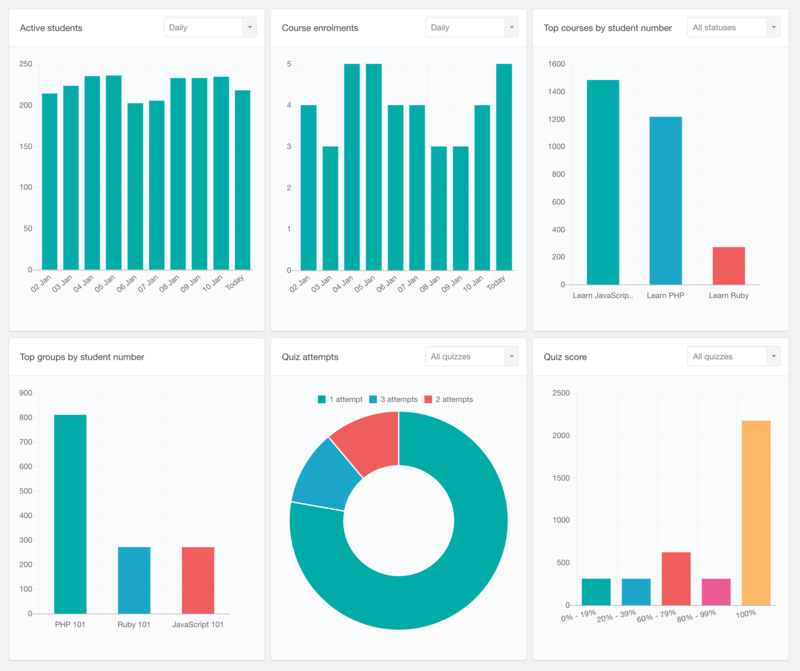 Head over to the BuddyPress Reports page to learn more about all the available reports. Quiz attempts – a pie chart showing how many attempts users need to pass a quiz. This report can be very useful to assess the quiz difficulty level. It can be filtered to show the attempts for a selected quiz only. Quiz score – a bar chart showing how many students pass a quiz for each percentage range. This report can also be used to check how difficult the students find each quiz. 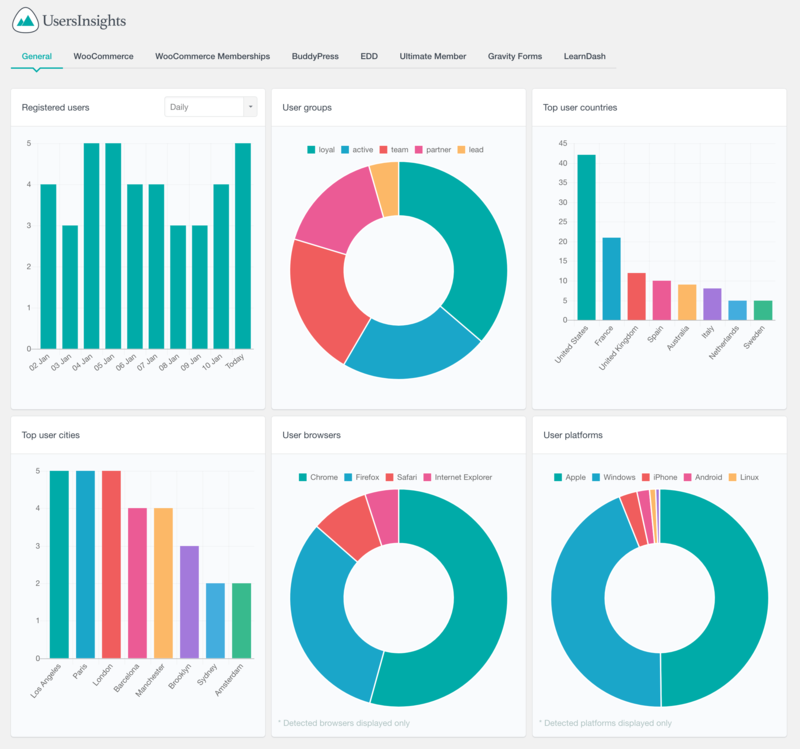 Head over to the LearnDash Reports page to learn more about all the available LMS reports. To learn more, head over to the Paid Memberships Pro Reports page. The Profile Builder Pro reports can help you visualize the data that your users submit in their profiles. Users Insights detects the profile fields from that are registered with the plugin and automatically generates reports for the ones that can be visually presented. For example, radio fields data is displayed with pie charts and number fields data is displayed in ranges on a bar chart. You can learn more on the Profile Builder Pro Reports page. To learn more, you can visit the Easy Digital Downloads Reports page.